This is a fun adaptation of the TV game show The $20,000 Pyramid. 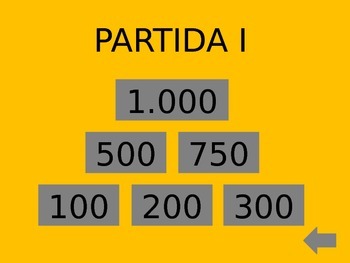 To play, students are divided into pairs with one student facing the screen and the other with his/her back to the screen. The categories are then revealed, and the student giving the clues has 30 seconds to describe things or actions that correspond to the given category (for example, if the category is “Cosas de color rojo,” possible clues can be “una manzana, una rosa, la nariz de Rudolfo,” etc.). Points are earned by successfully guessing the category. 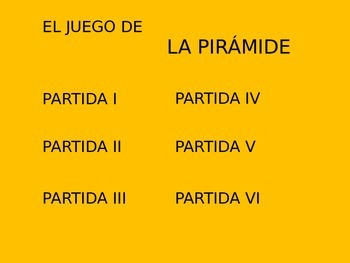 Points are neither earned nor lost if the category is not identified. The pair then changes places so each student has the opportunity to give and receive the clues. 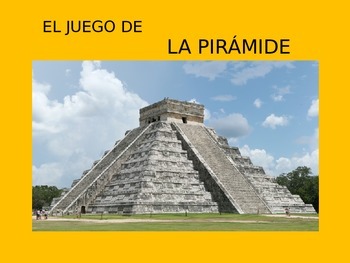 This PowerPoint presentation contains six full games that are appropriate for Intermediate-Mid to Intermediate-High students. It can be used as a template and modified for different levels, depending on your class. To navigate around the game, click on the backward-pointing arrows at the bottom right of each screen.